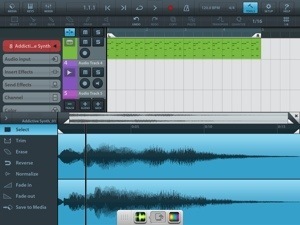 Another iDAW from a big name maker joins iOS. 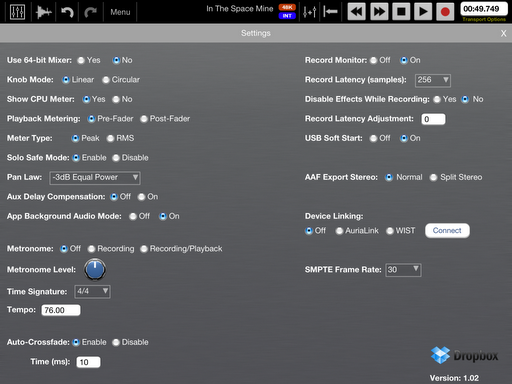 Cubasis now supports Inter-App Audio. I’ve tried it out, and it’s working very well. Only problem I’ve had was with assigning the TC-11 synth, it fails to open with Cubasis running IAA. I don’t know if if it’s a problem in Cubasis or with BitShapes TC-11? I suspect it’s likely on BitShape? I’ve had some issues (unrelated to IAA) where I’ve attempted an all MIDI project, and the drum track I applied kept going out of phase after Mixdown. Real weird. Everything sounded great while playing the project in Cubasis, but as soon as I mixed down the project to master it, the mix down version keeps losing parts of the beat. It’s a pretty frustrating problem when after all the work is done and sounds good only to find it’s ruined when the project gets mixed down. It’s only happened when MIDI was involved. A new synth, new drum loops, *track freeze, bug fixes, and a fun new bug. The recent update to Cubasis comes with a couple notable new additions. The Micrologue, a fine emulation of an analogue synth of yore. As if we don’t have enough of these already, but hey, it’s a nice addition at least. Its a simple 2 oscillator synth with all the standard controls. Nothing fancy, but you can make and save your own creations. It sounds ok, and in some instances not so ok. I mean it clips and pops here and there when playing it. 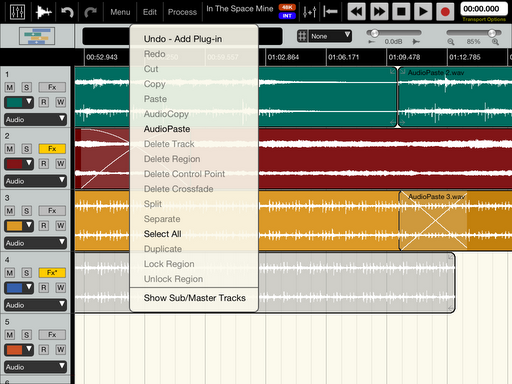 *Track freeze is now an option for tracks where the Cubasis instruments are used. A nice CPU saver that can come in handy. 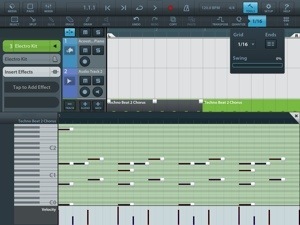 There’s also the addition of numerous new midi drum loops to choose from. Many are quite good. Others are pretty standard. They’ll do in a pinch, I like them mostly. On the down side a nice new (and for a moment scary) bug was introduced. Using a Cubasis instrument to lay down a riff, melody or whatever, when I double tap the clip from the track it is in to activate the note editor sub screen I hit quantize. The whole thing deleted instead of quantizing. Blunderful! I mean, wonderful. UNDO, recovered it each time, but its a pain in the arse. There is also a problem sometimes with Cubasis refusing to upload a .cbp project file to Dropbox. No problems with .wav or any other supported file type. Still no automation? What the hell is the deal here? I really hope its on the way very soon, I would have much preferred automation over another tired analogue synth emulation. Its not that I don’t appreciate the new loops and synth, its just those are not what Cubasis needs right now. Fingers crossed for next time. Cubasis version 1.4 arrived finally. Supposedly the “UNDO” malfunction that destroyed many users (myself included) hard work, has been fixed. Has it? I don’t really know yet. I’d like to trust that it has been taken care of, so time will tell. They also added MIDI clock sync, but I’ve heard from a few very reliable sources who are much more adept regarding MIDI than I, that it doesn’t work very well. 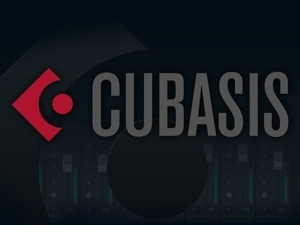 SteinbergMedia has announced that they have submitted Cubasis V1.4 to Apple. This updated version specifically mentions that the UNDO problem resulting in data loss has been corrected. Numerous fixes and other improvements round out what looks like a significant update. After Apple approves V1.4 Cubasis owners will be able to install it. I am honestly a bit weary, but it should be safe to use again soon. Fairness dictates giving it a chance, so I’ll assume the best. I had been happily working with Cubasis for a while now. I really warmed up to it. I felt confident in its design and stability. Despite my intial skepticism about there being no manual “save” function, I trusted that Steinberg had made sure that its auto save would be safe and reliable. I mean; nothing is more important than a project being saved. Today all of that changed. I was working on a project, & it was going very well with no hints of any problems on my iPad 4. I spent days to get to the point where I was near completion. While putting the finishing touches on the song, I moved a single part in one track that I didn’t like. So no problem right? Just “Undo” right? That is what its for right? I touched “Undo” once (as I have countless times over the years never once having a problem in any other app) & without ANY warning Cubasis flipped out, and deleted the entire project. Redo didn’t work at all. The contents of the project vanished! Gone! Unrecoverable! I have heard from a few people including a friend who had the same experience previously. I was alarmed of course, but I didn’t really feel great urgency and continued using it despite being warned. Clearly I didnt fully understand them. Well now this catastrophic bug just bit my head off. “Undo” should never globally delete the contents of the whole project. NEVER! In the 4 years I’ve been working with a huge variety of iOS music apps, none has ever failed me to this degree. Crashes were about as bad as it ever got, rarely would any data be lost, and never have I seen a project murdered so completely. Not until this. It’s the kind of bug that I must report. It’s pretty important. If any app might potentially cause a total loss of work due to a bug, then it fails to inspire trust in the product as is. Some might think, “oh, he must’ve done something else” or “that had to be operator error?” NO! I promise that’s not the case. I have a full understanding of how “Undo” is supposed to operate. Im up to date with everything installed. I know how to use these apps and devices. I know what I’m doing. There is nothing mysterious about the cause. This is without any shadow of a doubt a huge problem within Cubasis. A monumentally upsetting failure. If you have experienced this, you probably understand just how upsetting it is. No confidence in the current state of Cubasis. For now, I DO NOT recommend buying Cubasis, and warn all who are using this app to stop immediately if you are concerned at all with your work remaining intact. I’ve never suffered a greater, or more disturbing failure with any app before of this magnitude. Steinberg Media is well known for its many contributions to the music world. A developer with a grasp of what it takes to make something special. 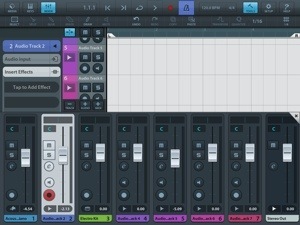 Based on the desktop software Cubase, they delivered Cubasis for the iOS platform. Many heads spun out of control with eager and wide eyes when Cubasis hit the App Store. I couldn’t help but get a bit excited myself. I debated buying it for some time, and of course tried to contact Steinberg for a review copy. Many many tries, until finally weeks later they responded, but had run out. Seems they had already given all copies away along with their press release. Prior to obtaining my own copy I had only a brief encounter with Cubasis on a borrowed iPad to look at for about an hour or so. That didn’t exactly inspire me to spend $50. Weeks past by, and I finally, accidentally (See my post: An Ever Changing Process) bought Cubasis. Well, I can’t undo that so I figured I’d make the best of it and find a use for Cubasis. First thing that encouraged me was the slick user interface. So quick and responsive. Good looking too. I felt right at home in Cubasis as if I had worked with it many times before. I really was enjoying the workflow quite a bit. I still am. I couldn’t put my finger on exactly why I felt so at home so fast. Was it really made to be so intuitive? Perhaps? Then it dawned on me. Cubasis is really a lot like previous iDAWs I had seen and worked in many times already. I have done this before with other iDAWs that have been around a while. Not to suggest Cubasis isn’t designed to be intuitive, it is. The layout is clean making it very easy to remain in a steady workflow without numerous screens or drop downs to sift through. Something I’ve missed when using my primary iDAW Auria. 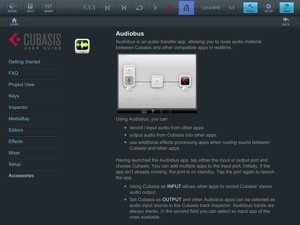 Using Cubasis with Audiobus has been the most comfortable experience I’ve had so far. They did a remarkable job with making Cubasis and Audiobus distraction free. Every instance I had was reliable. No crashes, no lost recordings, no broken connections. It simply works. Bravo. 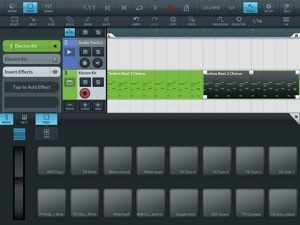 In addition to the excellent Audiobus integration, Cubasis has an equally smooth virtual MIDI function. Connecting my favorite synths has been a piece of cake. More to be pleased with. Still using AudioCopy/Paste? Its supported for both import and export. So are iTunes File Share, Dropbox, and email export. * I don’t use any MIDI hardware, so I cannot offer input on how that behaves. I would expect it to be well done? 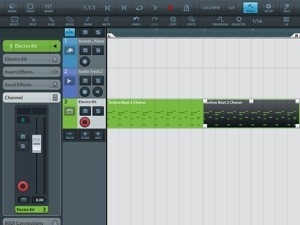 There are many high quality instruments and loops included to choose from in both audio and MIDI format. I couldn’t find any instruments to be lacking. They all sound really nice. Each have an attack and release slider to adjust your preferred sound in the track you place it in. No violin though? Whatever is missing shouldn’t be any problem. 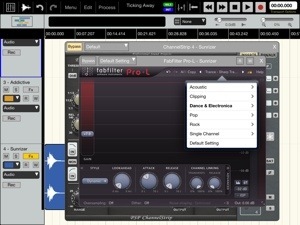 Simply connect whatever virtual MIDI compatible app with the desired instruments to Cubasis and assign it to which ever track you want. The adjustable scrolling keyboard works as expected. It has a row of 10 Chord buttons above it. Each of the 10 chord buttons can be edited and is specific to the track its used in. Delete the track you made custom chords in, and you delete those custom chords with it. No complaints there. Switch to pads or keys with a button tap. The pads are customizable and have variable velocity. Tap the center of the pad for a big hit or around the edges for a softer strike. Assigning instrument chords, or drums to the pads is made easy. Another kudo. If you import a sample to a track it can be edited by a double tap to the waveform. That will bring up a sample editor tool taking up the bottom half of the screen. Tracks are still visible and can still be scrolled through making it easy to keep track of what you’re doing. Trim, reverse, set fades in or out, and save the edited file to the media browser. Make a mistake? No problem the multiple undo and redo buttons are there at the top of the screen on the tool bar just in case. I might add that when you undo or redo a nice message appears confirming what was done. 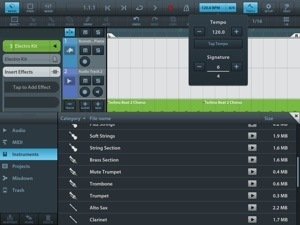 If you want to edit MIDI or recordings of instruments packaged in Cubasis, the same double tap will bring up a key editor. Individual notes can be edited and rearranged. The velocity can also be adjusted. A robust quantize feature will help keep it all in time. All the editing, performing, recording, mixing and arranging throughout is crisp. No delays or screen jumping. Putting together a song including audio recordings works so seamlessly its hard to not want to use Cubasis. Everything is smooth and pleasant. Until you get to the FX, and mastering part. In short, you can’t really master anything here. 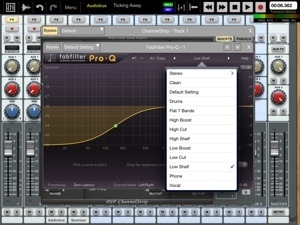 The EQ is a 2 band prank with no depth. A less than average compressor, limiter are of no significant help. The FX choices are many in number and appear to be a complete collection. However when you use them they are a disappointment. They sound cheap and half baked. Some worse than others, like the Reverb. Its horrendous. I’ve heard better reverb from tin cans. The Chorus is minimal and weak. I could go on and on, but ill stop by saying, Steinberg can do much better. At least the mixer is good for setting pans, & volume levels. 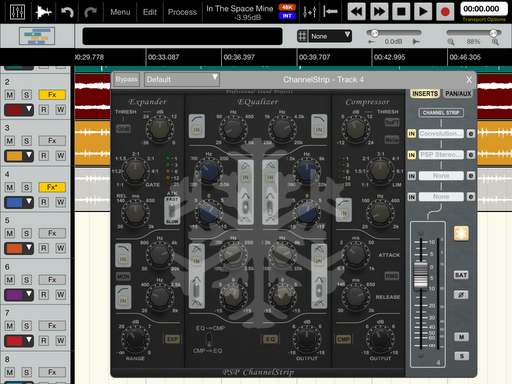 There are 3 FX sends for the overall mix that can be leveled at each track individually or not used at all. 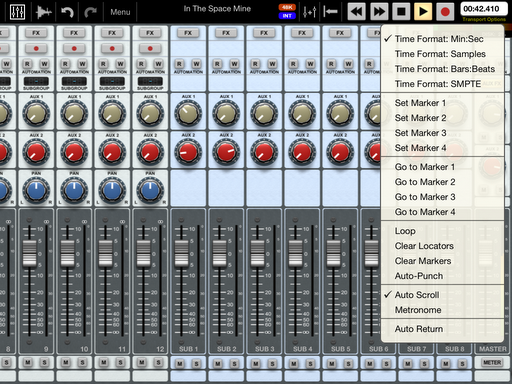 If you do want to use the FX in a track you can have up to 3 inserts per track. Finally, you can mixdown to M4A, .wav or MIDI. Overall Cubasis is great to work in, but not so great to finish the work. Its features, & design are similar to many other iDAWs already available at half the price. It looks great, sounds good, a joy (I really like making first drafts here) to use, and a flop to polish it all up at a high level. Considering the total FX fail, no automation, and that you can do the same things in apps half the price, I can’t say this is worth $50. Its good, just not doing anything that sets a new watermark. To be fair, its early for Cubasis. There may very well be many improvements and features on the way? They might take Cubasis to the next level some of us expected, but have yet to see? I don’t know. I’ve bought many apps based on potential that was never realized. So I am skeptical. If this was released a year ago, it would have been more impressive. Since my aforementioned primary iDAW arrived with FX, sonic capabilities light years ahead of anything else on iOS and full automation, Cubasis misses the wow factor by a wide margin. 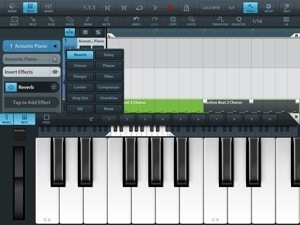 I would consider this the better option if it is intended for use on iPad2. Review based on use with iPads 3&4. Today Steinberg answers weakly (though I’m sure not directly) to a major concern by improving its selection of Cubasis mastering options. 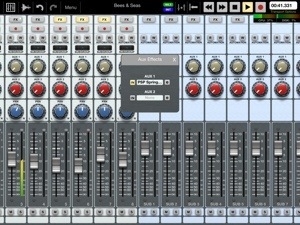 They added a 4 band Studio EQ, and a Limiter. 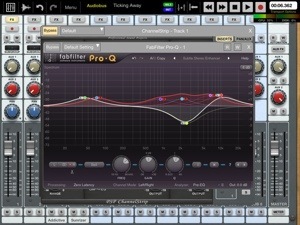 The new “Studio EQ” is definitely an improvement over the shelf EQ. It sounds OK, and is better than nothing, but doesn’t really impress me very much. Then again I’m spoiled by Aurias FabFilter ProQ. I am very glad its now part of the Cubasis package though. The new Limiter is fair. It serves its purpose at a functional level but raises no goose bumps. Neither are by any means appropriate for mastering. Not in my world. Its a step in the right direction and shows that Steinberg is paying attention to customers needs. Even if they are still holding back, offering mediocre solutions. I can only hope they will put a real EQ, Compressor, Limiter in Cubasis someday and improve the other subpar FX as well. I hoped for automation, but it didn’t come. Not yet. Will it ever? These things may come later, or not at all? For now Cubasis is still a neutered but well groomed breed with a few new tricks, leaving a lot to be desired. I want to start off by saying thank you to everyone who sent me such inspiring emails about this series of reviews. 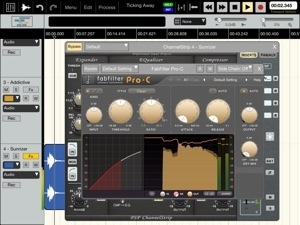 In this third installment I will focus briefly on each of the following FabFilter Plug Ins for the purpose of Mastering. As good as all of these FabFilters are, they become useless if what you are using to hear the amazing results they are capable of producing, through just ordinary headphones or cheap speakers. It probably goes without saying, but excellent headphones and decent monitors are very important. We can’t all have studio monitors, but having at least very good headphones are a must. If you’re using the Apple ear buds that came with you’re iPod, or anything from the general selections of headphones from the electronics store, stop now. Go look at, listen to, and then buy some good ones. The differences you’ll hear are night and day. That’s just my opinion for what its worth. I’m using Sennhieser HD 558 around the ear headphones. They were about $200 and sounded equal to all the other headphones I tested that cost hundreds more. For monitors, I am using some Altec Lansing speakers with a powered sub woofer, Ive had for ages. They have a very clean sound, but not quite up to “studio monitor” levels. They do get the job done in the limited space I have. 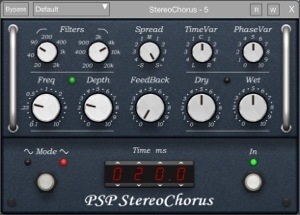 This easy to use and great sounding compressor is a significant step up from the free compressor option built into Auria. Visually far more appealing at the very least. As is the case with all the FabFilters. ProC has 3 styles: Clean, Classic, & Opto. Hard, Soft Knee, Side Chain Supported, & Auto Gain & Release. 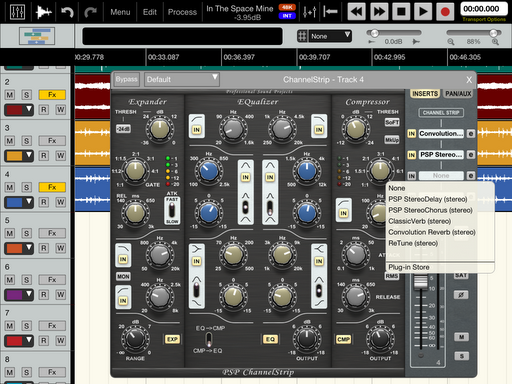 I found ProC to be more useful over the built in compressor and maybe its just me, but it sounds tighter. The moving compression level display has customizable curves. Seeing and hearing the work makes all the difference. 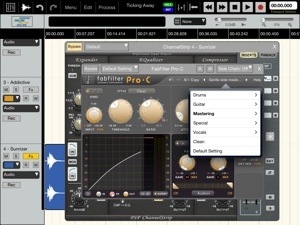 If you want to fine tune your sound at every point, you can, and ProC is very reliable. There are presets included as well that are set perfectly for each of the selections. Undo, Redo options and a before/after selector are also included. 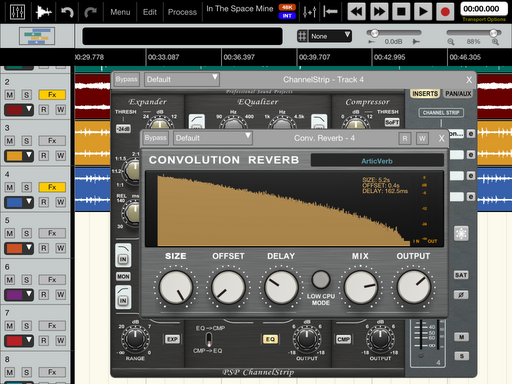 If you are just getting comfortable with using compression this will be a great plug in to begin with. 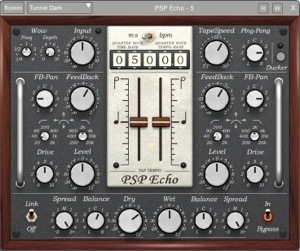 If you have high expectations and want the very best compressor, this it. Whatever the need this sounds extremely good. A good EQ is essential, if not the most important mastering tool. This 24 band, touch manipulated EQ is a godsend. Zero latency or linear phase with adjustable latency. It has all the filter shapes with variable DB/Oct slope selections you’ll need and is so easy to use. Make a mistake or change your mind theres a undo & redo option. Before and after toggle, left/right independent channel EQ’ing, real time frequency analyzer with pre & post EQ metering. 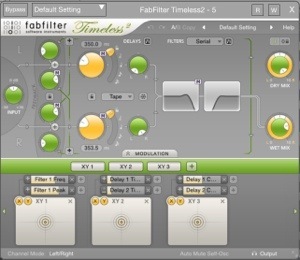 Several perfectly tuned presets to choose from and very detailed parameters to (wait for it) tweak. Notching out a hot frequency is no problem, and with automation support there’s nothing you can’t manipulate or correct with high quality results. From hi, low shelving, stereo enhancements, frequency fixes, to wild filter FX like “telephone” sounds, and everything in between are possible. 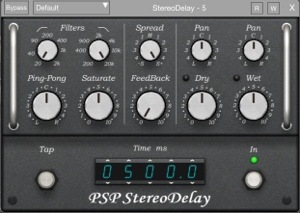 This is probably the single most necessary Plug In, and sounds noticeably better than the built in EQ. Which isn’t too shabby to begin with. Yes, you need this. No you won’t regret it. 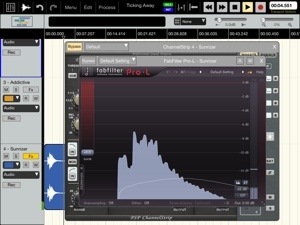 Another essential mastering and mixing tool is the “Brickwall Limiter”. ProL has multiple advanced algorithms, features, and accurate metering. ProL is designed to be very accurate. It has up to 4x oversampling, but is very demanding on device resources. Of the 3 FabFilters looked at here, this one can put the greatest burden on your device. When the need for a really good limiter comes up, there just isn’t anything better. 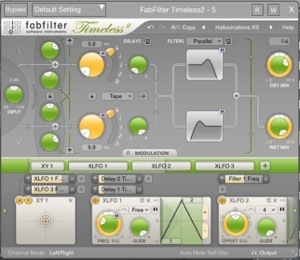 This particular FabFilter might be more niche than absolutely necessary. I mean that the included brickwall limiter does a fine job, but this is really specialized and more for experienced sound engineers to be fully appreciated. Each of the FabFilters looked at here are of the highest quality. Certainly comparable to most available on desktop DAWs. They did an amazing job with these to really offer the very best tools for serious users who don’t want to compromise. They all have undo and redo, support for automation, touch support, and have extensive help support within. Again, I hope this was helpful, and sorry it took so long to get this part 3 finished. Part 4 coming up soon.